Best known as a director of The Walt Disney Company of India, this businessman and movie producer worked on such films as Chennai Express, Grandmaster, and the cult drama Rang De Basanti. After graduating from Sydenham College (Mumbai, India) and subsequently earning a Master of Business Administration degree from the Jamnalal Bajaj Institute of Management Studies, he worked for Star TV and Procter & Gamble. He later became the Chief Executive Officer of UTV, a network that was later absorbed by Disney India. His 2008 historical romance, Jodhaa Akbar, received IIFA, Screen, and Filmfare Awards. He and his two brothers, Kunaal Roy Kapur and Aditya Roy Kapur (both successful screen actors), grew up in India as the children of a Jewish mother and a Punjabi father. Before marrying actress Vidya Balan in 2012, he was twice married and divorced. 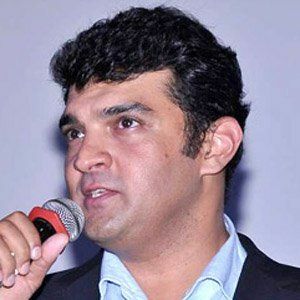 He earned both an Indian National Film Award and a Screen Award for his work on Paan Singh Tomar, a biopic based on the life and career of the famous Indian athlete. Actor Irrfan Khan starred in the popular film.